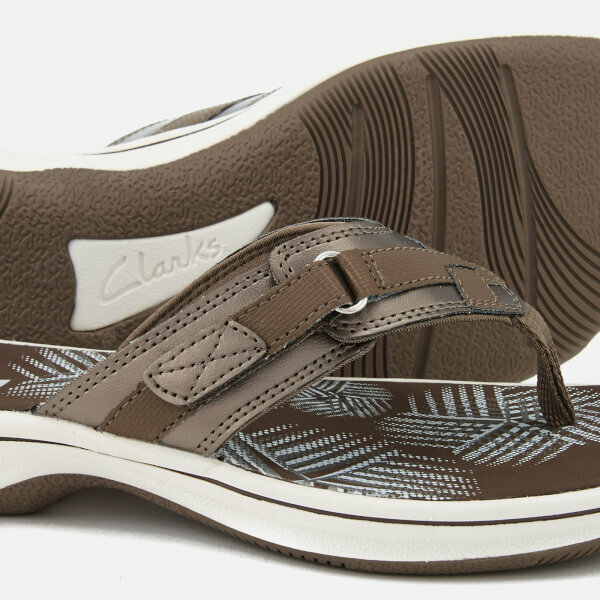 Women’s toe post sandals from Clarks. 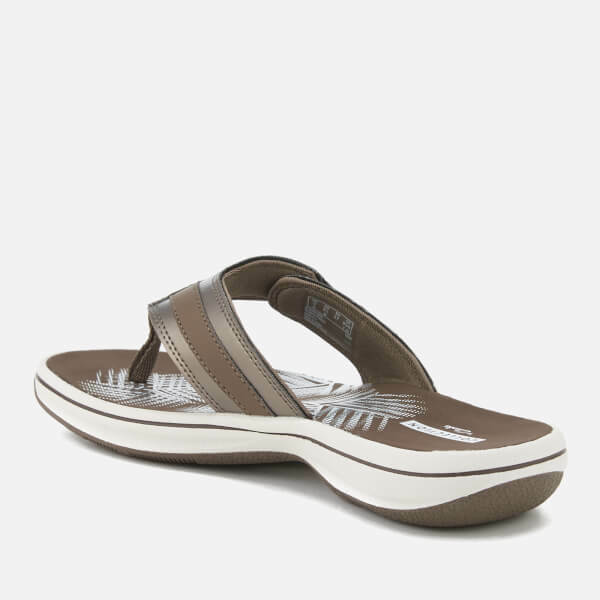 Crafted with synthetic uppers, the ‘Brinkley Sea’ flip flops are Clarks’ best-selling design. 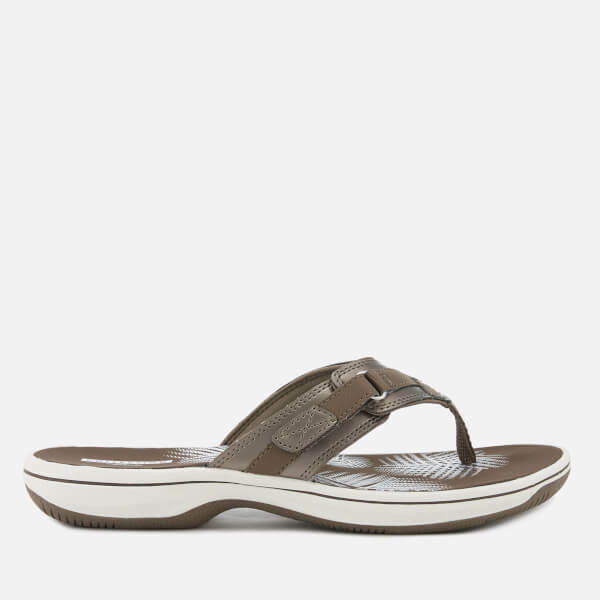 Designed with a sports aesthetic, the sandals feature a toe post with a riptape fastening for a secure fit, textured details and contrast coloured topstitching. 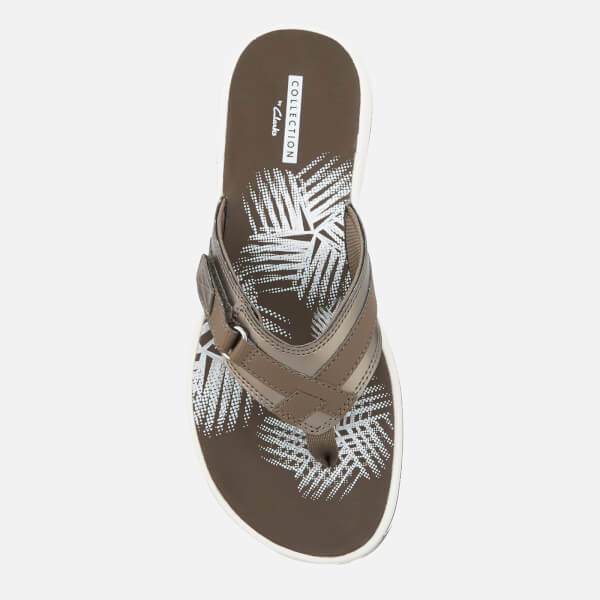 The sports-inspired flip flops are finished with a floral design on the footbed, a white midsole and a textured outsole for added traction. Upper: Synthetic. Lining: Textile. Sole: TPR.